Are you confused on how to use the Coffee Pods that you got at home? The solution is simple! You could compare the Coffee Pods with the Keurig K-cup pods, they both work in the same manner, but with a difference. The Keurig pods are meant for the Keurig Machines only, whereas the Coffee Pods can be used in different ways. There is a Coffee Pod Machine which works dedicatedly for the coffee pods, so you can get a Coffee Pod Machine or even use the pods without the machine also. We will learn both the methods here. First, fill the water tank or the basin till the max line provided on it. 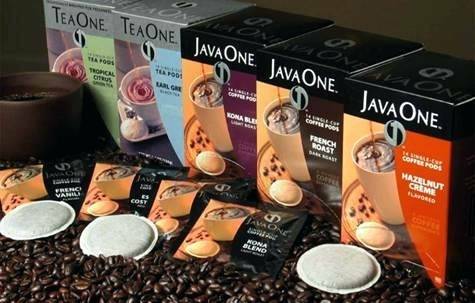 Tear open the coffee pod through the perforated side of the packet, without damaging the content inside. Now place the pod content on the pod holder section of the Coffee Machine. It will slide into the slot, and once this is done – then close the lid of the pod holder. Time to do all the settings for the kind of brewing you want. Normal, Medium or Strong brewing. Choose the option as per the need. Start the processing, or press the Ready option. That’s how you do it with the help of a Pod Machine, but even if you don’t have one you can still make the Coffee by another method! Place the coffee pod inside the coffee mug. Read the instructions on the pod packet, and set the pods in the right way. Now, pour the hot boiling water inside the mug, and stop it till you are left with half an inch or an inch from the top of the mug. Be careful while you carry out this step. Let the pod steep into the water and brewing really well. If you find the pod floating on the top of the water, then stir the coffee using a spoon and gently take out the coffee pod. 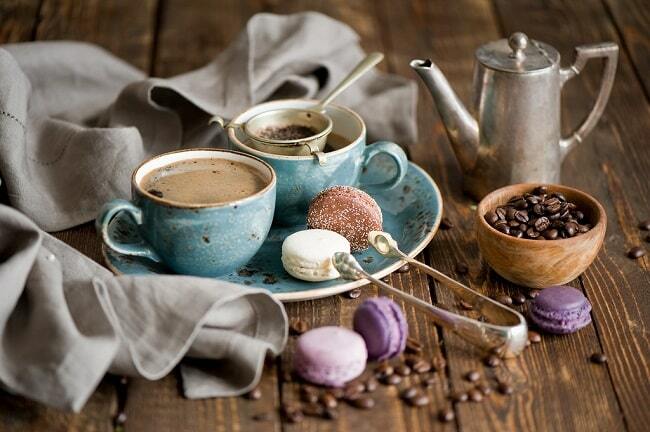 Your Coffee is ready to enjoy! Which one is your go-to method from the two? Answer them in the comment section below. I have recently been to The Royal Bistro, located in the Royal Standards, Highland-Perkins area. Oh dear! What a pleasant place it is! I along with my friend there to have a quick brunch last Sunday, and I would like to share my experience with you all. I rarely review a cafe or a restaurant, but Royal Bistro stands especially for the food and the place in itself. The complete name of the cafe is The Crown: A Royal Bistro – it’s basically a cafe and a crepe shop located inside the Royal Standards. As you enter the cafe, you will get to see nicely arrange white chair and tables with a small plant-pot on it. Even though the place is a bit compact, the interiors and the natural sunlight gives it a good vibe in all. I am a lover of natural lights, and The Crown has seriously taken that into consideration! Checking the menu, there were a lot of salad options, soups and of course the thing Royal Bistro is famous for – Variety of Crepes! We were in a confusion on what to order, but one of the serving gentlemen came up to us and suggested to go with the lunch special menu. Without much thinking, we placed the order for half of one crepe, one soup cup of the day, and a small salad dish. There is a list of toast options, mocktails, coffee choices, and even sweets! And my eyes fell on the name ‘Macaroons’! I placed the order for 4 macaroons, along with an Iced Mocha for the drink. Macaroons were sweet, cute, and perfectly made to end up the lunch. The Royal Bistro or The Crown is situated on 16016 Perkins Road, and they are available from Tuesday to Saturdays between 10 am to 2 pm. They are also open on Sundays from 12 noon to 4 pm. If you want to have the best in store pastry or a coffee drink – stop by The Crown and Relish!